Home / blog / Chronic Stress can lead you to Weight Gain, Control it with Naturopathy! 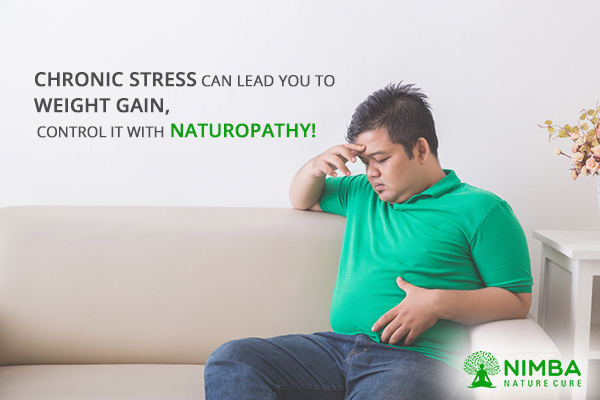 Chronic Stress can lead you to Weight Gain, Control it with Naturopathy! Stress is a natural reaction of our body. When it comes to ‘Fight OR Flight’ situations, the stress helps us to make a quick decision to solve the situation. But that is about the dangerous scenarios in life. What if you get stressed by traffic noises, relationships, professional obligations, or regular everyday life events? Could it be the case of compounding stress due to multiple triggers, slowly leading to physical and psychological problems? Why is chronic stress is so much dangerous? As we said earlier, a little stress in natural. But if the condition remains all-day-every-day, chronic stress invites hoards of physical problems. Bad digestion, irregular metabolism, headaches & body aches, stroke, insomnia, anxiety & depression, heart diseases, loss of libido, and increase in body weight, these symptoms are commonly seen with chronic stress condition. Regardless of which source, chronic stress sends you down a spiral of diseases which eventually ruins your peace of mind. How stress leads you to unhealthy weight gain? Often people indulge in some bad choices to relieve the stress. Alcohol, Binging on Junk Food, Tobacco, Drug Abuse, and Zero Physical Activity. These are the common habits where people try to find their solution and they eventually make the situation even worse. These choices slowly start increasing your weight and if you continue that lifestyle, it goes on to become a serious problem such as Obesity. Life is challenging for everybody! And everybody encounters stress at some point in their life. But with a strong mind and healthy lifestyle, you can live through it. So, to lose weight successfully, you should bring about changes in lifestyle that can reduce the stress first. And there is no better option than Naturopathy treatments. 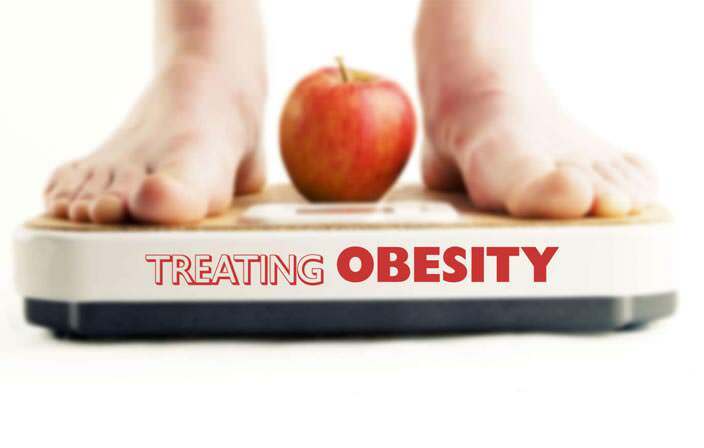 At a Nimba Naturopathy Centre, you can get the ideal weight-loss solution which also includes stress management along with other therapies. Also, you can learn meditation and yoga from the experts, which will help you stay stress-free. A specially designed Naturopathy treatment for weight-loss and diet therapy will ensure that you get all the required nutrients. Naturopathy for weight-loss includes treatments like Yog Nindra and Tratak which helps your body to get relief from chronic stress. 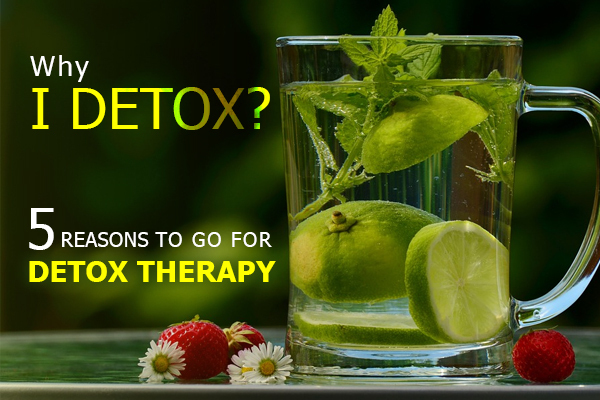 Naturopathy focuses on bringing about a holistic transformation in mind as well as the body. Come and experience the best Naturopathy treatment for weight-loss at Nimba Naturopathy Centre! At Nimba, you can avail a weight-loss program with a special focus on stress management. With chronic stress controlled, you will feel the difference in your weight-loss progress. 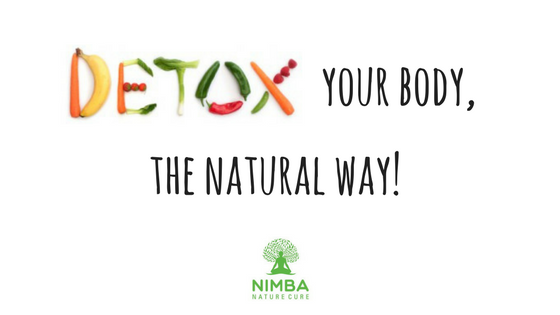 Nimba Nature Cure is the best place to lose some weight while controlling the chronic stress condition, and reinventing yourself.